UPDATED: Fri., June 8, 2018, 10:49 p.m.
Democrat Lisa Brown has made her first major advertising buy in her race to unseat GOP 5th District Rep. Cathy McMorris Rodgers. The ad, titled “Lucas,” began airing Friday on broadcast and cable television channels in Spokane and Yakima, said Jack Sorensen, a spokesman for the Brown campaign. The candidate has made what he called a “six-figure” advertising buy in those markets, which include digital spots. Of that amount, $85,000 went to TV buys, the campaign said. “This is an ad to introduce her to voters, someone they’ve known as a legislator, professor and chancellor,” said Sorensen. After leaving the Legislature in 2012, Brown served for nearly five years as chancellor of Washington State University’s branch in Spokane. The spot focuses on an incident on the floor of the state House of Representatives in Olympia in March 1993. 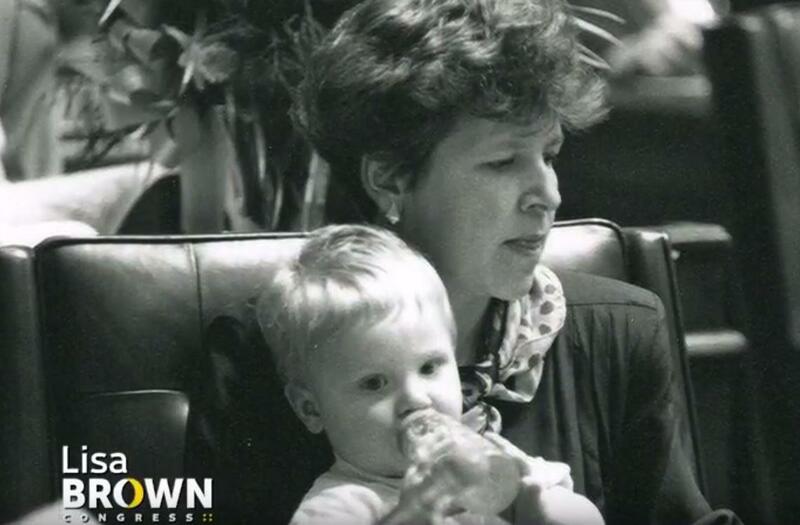 Brown brought her son, Lucas, with her when called to vote at a late-night session of the Legislature in the college economics professor’s freshman term as a state lawmaker. She was informed by the House’s clerk that only members were allowed on the floor and that her then-1-year-old son, whose day care had closed for the evening, would need to be removed. “This was the type of balancing act, that women in particular, were doing all over the state,” Brown says in the ad. The 60-second version of the spot, available on YouTube, makes no mention of McMorris Rodgers, just as the congresswoman’s first TV ad, which was released in May, focused not on the race, but on her background and political values. A 30-second version of Brown’s ad will be airing on TV, the campaign said. In a statement, the McMorris Rodgers campaign emphasized the congresswoman’s own family experience and said that would resonate with the region’s voters. “Cathy is a working mom of three, which is why women all around Eastern Washington relate to her, see themselves and their values reflected in her, and joined together to start ‘Cathy Represents ME,’ a growing, women-led, grassroots movement supporting her campaign,” said Ashley Stubbs, communications director for the McMorris Rodgers campaign. Billboards have already been installed around Spokane focusing on members of the Cathy Represents ME group, according to the campaign. TV stations are required to report ad buys to the Federal Communication Commission. Those reports show McMorris Rodgers ads have been airing extensively on the region’s four broadcast stations already. Across those channels, McMorris Rodgers has spent more than $150,000 on ads beginning in early May, according to reports. Brown has bought up a little more than $30,000 worth of airtime on those same stations. Incumbent McMorris Rodgers and Brown have emerged as the likely opponents in what is shaping up to be the most competitive race for Eastern Washington’s seat in Congress in at least a decade. McMorris Rodgers continues a commanding fundraising lead over Brown, but the Democrat is the first of the congresswoman’s challengers to raise $1 million since Peter Goldmark’s bid in 2006. Fundraising totals and advertising spending for the first six months of 2018 must be reported to the Federal Election Commission by the middle of July. The primary also will include Republican candidates Jered Bonneau, of Spokane Valley, and Kari Ilonummi, of Arlington, Washington, as well as Dave Saulibio, of Colbert, who lists “Trump Populist” as his party. A poll of voters commissioned by The Spokesman-Review, KHQ-TV, Spokane Public Radio and other regional media outlets in April found McMorris Rodgers held a 6 percentage-point lead on Brown. McMorris Rodgers, in her seven elections to Congress, has never received less than 56 percent of the popular vote. Published: June 8, 2018, 11:23 a.m. Updated: June 8, 2018, 10:49 p.m.